Schon is a military veteran, a graduate of The Citadel, and served our country for over 26 years as a naval aviator. Additionally, he earned a MBA and recently moved back to Beaufort, his hometown, from San Diego, California to be closer to family. Schon understands the challenges people experience during the process of relocation. 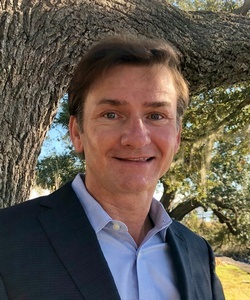 He joined the Berkshire Hathaway Bay Street Realty Group and is excited and humbled for the opportunity to assist both newcomers and locals to the Low Country obtain their own piece of real estate heaven.